The latest in a long line of trashy action thrillers spearheaded by French producer extraordinaire Luc Besson, Camille Delamarre’s Brick Mansions – an American remake of 2004 parkour-driven French adrenaline-pumper District B13 – is just about as mindless as they come. 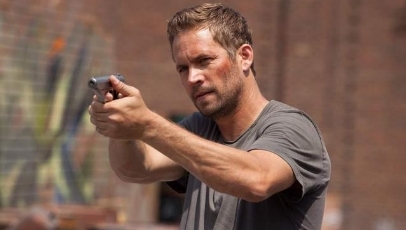 The late Paul Walker, who tragically died last November, stars as protagonist Damien Collier, an undercover cop who accepts an assignment to infiltrate an infamous and high-risk housing complex deep within a fictional Detroit. With the help of escaped convict Lino (David Belle), Damien sets out to locate Tremaine Alexander (RZA), a ruthless crime lord who’s harboring a deadly bomb. Essentially, Brick Mansions is little more than a collection of shoddily edited action sequences, built upon a monotonous narrative that has no purpose, let alone moral heart to reward viewers’ waning attention. It’s a tedious watch, exacerbated by bad characterisations and dialogue that’s ludicrously bad, even by the low standards typically found within action films. And, instead of making up for the failures elsewhere, the action sequences are below par, offering up no drive whatsoever. It leaves a lot to the actors to atone for but sadly, despite Walker’s natural charisma and Belle’s obvious skills at parkour, it all proves too much, making Brick Mansions an unfortunate final hurrah for Walker to be remembered by. An extended version of this review was originally posted on Cine-Vue.